Figures from Vision-net also show an 18 per cent fall from last year in the number of businesses becoming insolvent. FEWER BUSINESSES HAVE become insolvent this year, combined with a rise in the number of start-ups. However, this new data from Vision-net.ie comes with a warning that the hospitality sector still remains unstable. 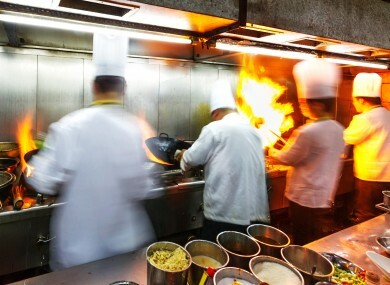 They say 64 per cent of hotels and restaurants are at a “high risk of collapse”, the highest among any sector of the economy. It is followed closely by the construction sector at 60 per cent, and IT at 52 per cent. Managing Director Christine Cullen said that while a “buoyant festive period” is crucial for the hospitality sector, the data overall shows “strong signs of economic growth”. Our data on economic activity indicates that the pattern of tentative economic recovery has continued into November. This corresponds favourably with wider economic signals such as this week’s 12.8 per cent drop in unemployment figures, the uplift in house prices and increased job creation. 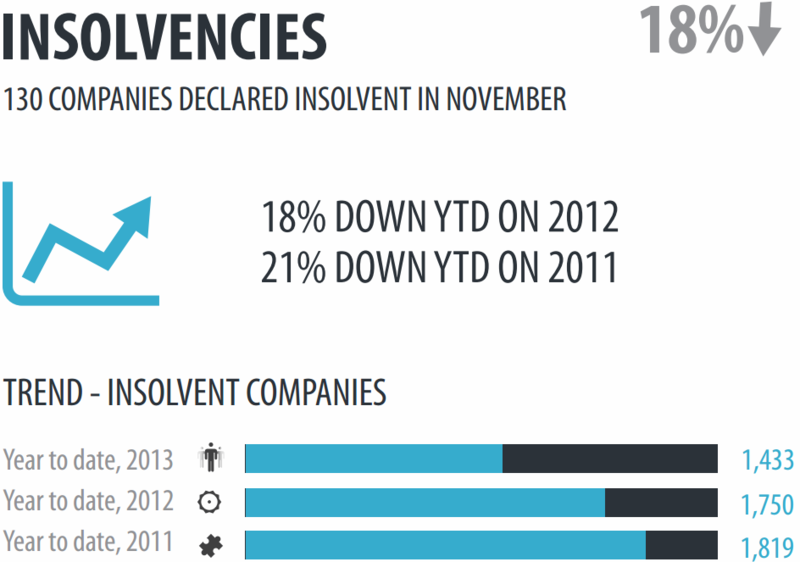 The figures reveal that 2013 saw a fall of 18 per cent in the number of businesses becoming insolvent. 130 companies, over half of them had a Dublin-registered address, were liquidated, entered receivership, or had an Examiner appointed to them this month. Close to this amount also held meetings with creditors this month, an indication of financial difficulty. 84 companies took this step, their total value adding up to just under €40 million. 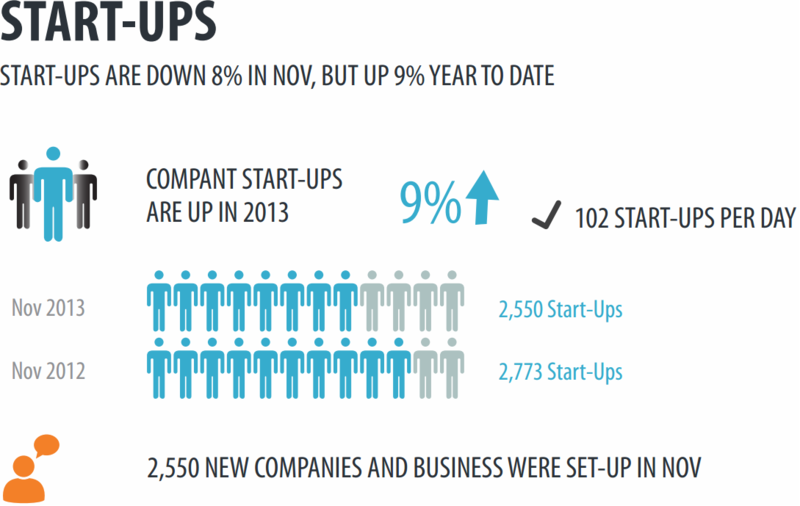 For every five businesses that went under this month, 102 start-ups were created this month. The figures show that while this is an 8 per cent fall compared to last November, this number has risen by 9.4 per cent so far this year compared to 2012. 460 commercial and consumer judgements were awarded last month, with 49 per cent of these to the Revenue Commissioners with a value totalling €10.1 million. See Vision-net’s full infographic here. Email “Hospitality sector at risk of collapse while economy continues to improve”. Feedback on “Hospitality sector at risk of collapse while economy continues to improve”.